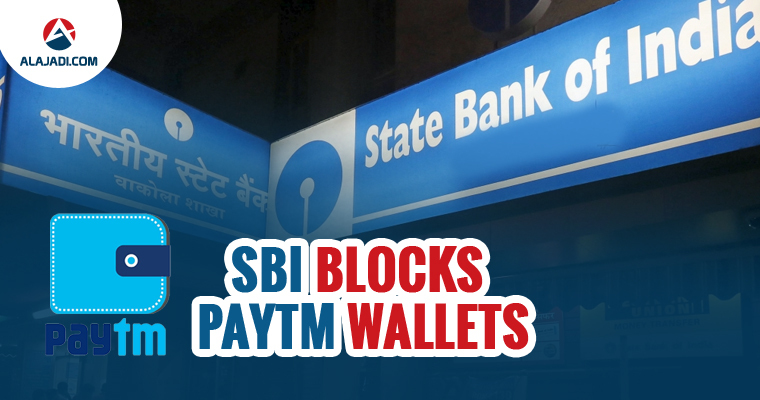 After Prime Minister Narendra Modi urged the people of the country to support Digital India campaign, State Bank of India (SBI) has introduced Buddy Wallet asking its users to carry out digital payments using it. The first thing it has done after bringing Buddy Wallet is to disable the option of transferring money from SBI Account to Paytm Wallet. Paytm’s rise in the payments space this year has been meteoric, but there are now that signs that incumbents might be getting a little uncomfortable. Paytm’s rise in the payments space this year has been meteoric, but there are now that signs that incumbents might be getting a little uncomfortable. Even banners have been set up at all the branches highlighting the benefits of using Buddy Wallet. 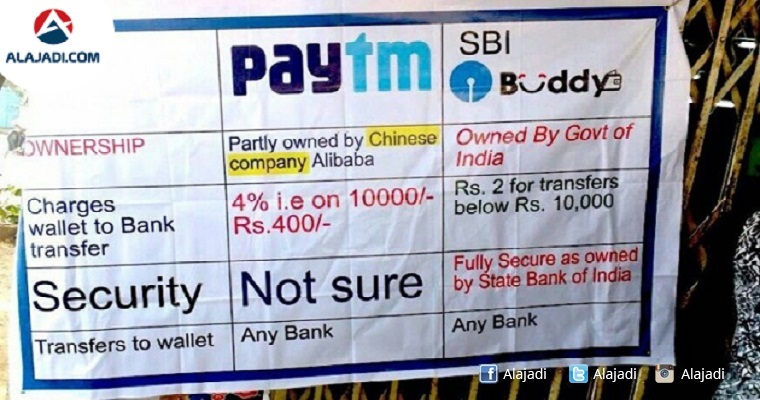 At the same time, Comparisons were drawn with Paytm which is funded by Chinese film Alibaba to lure customers. This move didn’t didn’t go down well with the Paytm users. They suggested SBI to upgrade Buddy Wallet and attract customers by offering better service than private players instead of blocking Paytm. 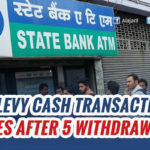 This isn’t the first time that SBI has trained its guns on the new upstart in the payments space Paytm founder Vijay Shekhar Sharma had earlier shared a picture supposedly outside an SBI branch, where a banner had compared SBI Buddy’s feature to Paytm. 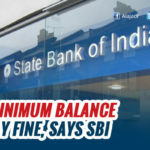 SBI being the country’s largest banking network should have preferred a healthy competition rather than trying to steal the revenue of start-ups felicitating digital payments using its powers. 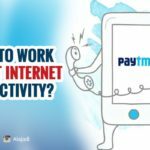 SBI is not only opposition for Paytm, PayPal filed a complaint in India against Paytm, claiming its look is too much like PayPal’s color scheme, pointing out that both services started with the word “pay.” PayPal also contended Paytm’s logo was deceptively and confusingly similar to PayPal’s logo. Being more competitive, Paytm has become one of the leaders in the digital payments market in India.